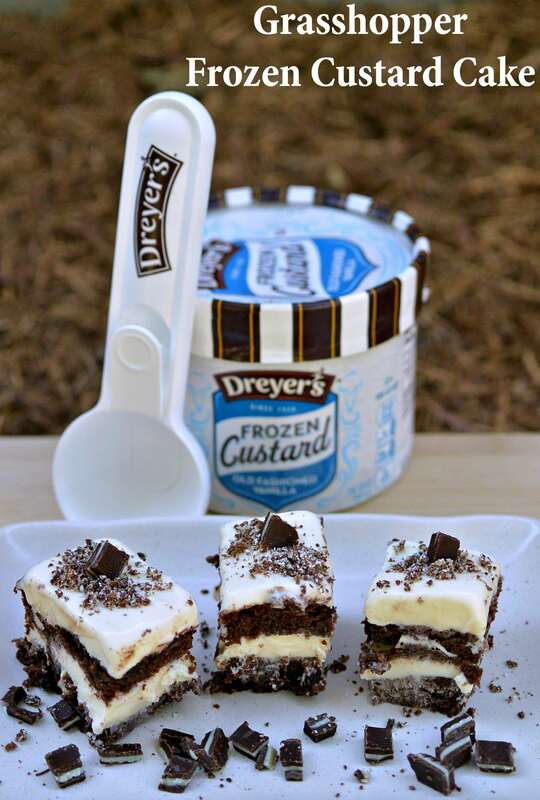 Now it’s time to find out how to make this dessert with a taste and texture of pure joy found only in the rich,extra thick creaminess of NEW DREYER’S Frozen Custard! Place 4 of the slices of chocolate cake onto the bottom of an 8x8 inch square pan. Brush the cake pieces with the coffee creamer. Cover the top of the cake pieces with 2 cups of the frozen custard, spreading it out as you are able, working quickly so the ice cream doesn't melt. Place the remaining chocolate cake on top and then repeat the frozen custard layer. Place in freezer and freeze for at least four hours. 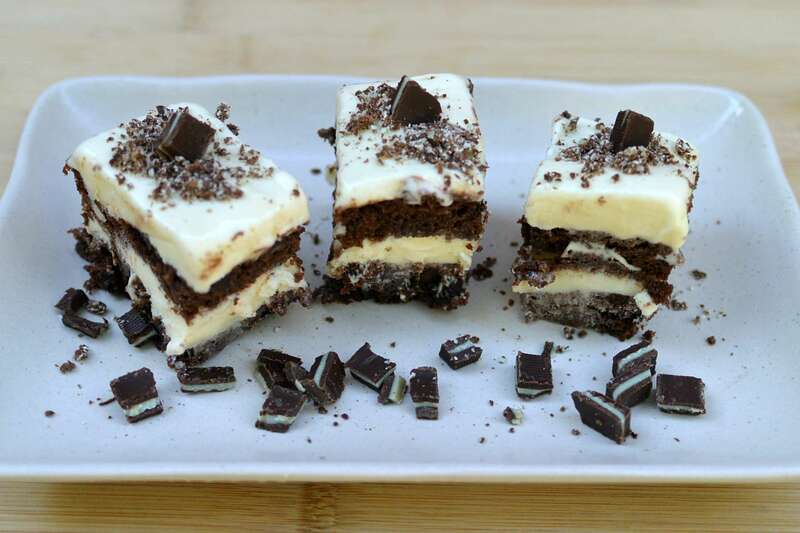 Cut 8 pieces, garnish with grated and chopped Crème de Menthe pieces. Serve immediately. You can use store bought chocolate loaf or pound cake instead of making your own, or you can even use brownies. 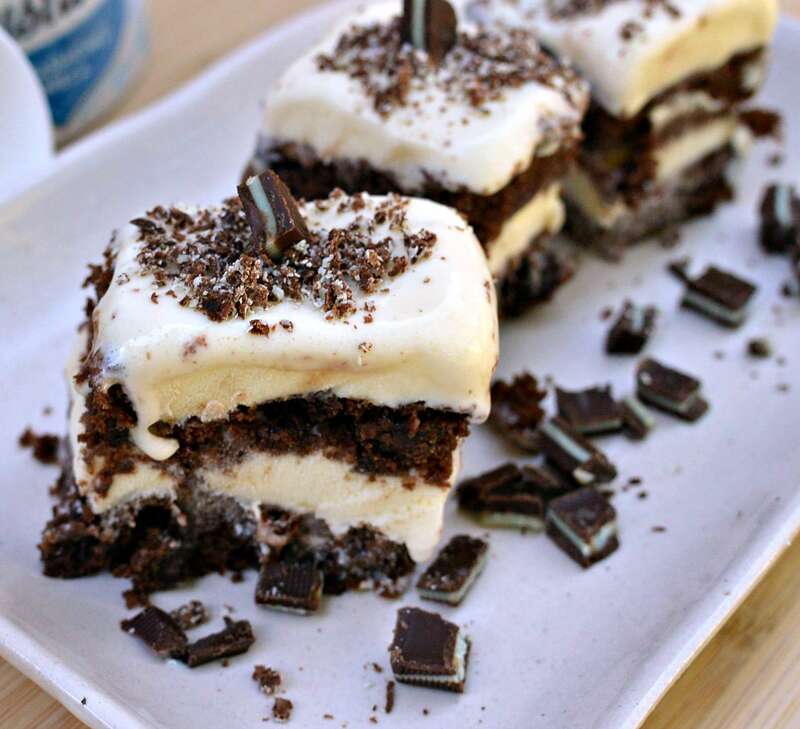 For a twist on this recipe use the Chocolate Malt frozen custard flavor and then add some chopped up chocolate malt candy for garnish instead of the mint chocolates. 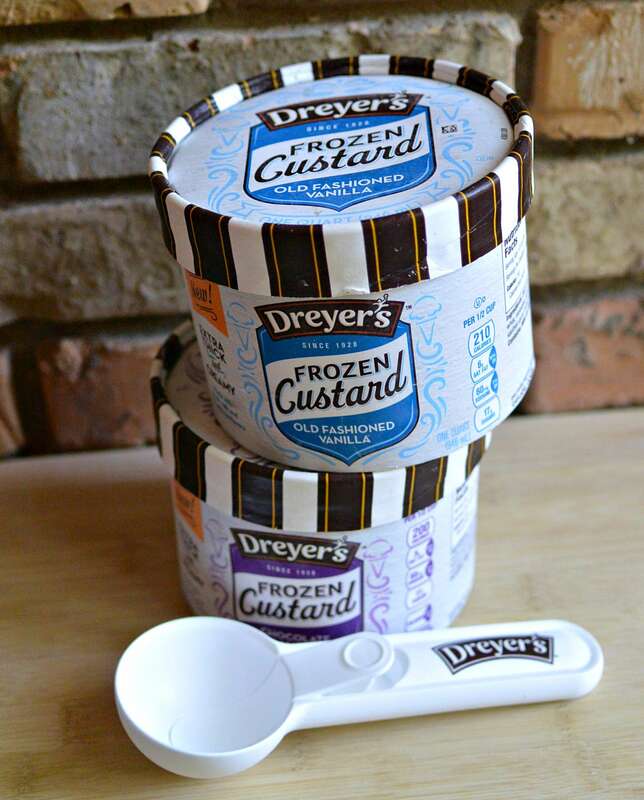 Interested in trying NEW DREYER’S Frozen Custard for yourself? Then click the link and search for the $1.00 off 1 DREYER’S Branded Product 32 –48 oz offer to save: http://www.coupons.com/?CID=18855085 I’m looking forward to trying some of the great looking recipes that are on DREYER’S Pinterest and Facebook pages. Check them out and let me know which one you’d like to try first! 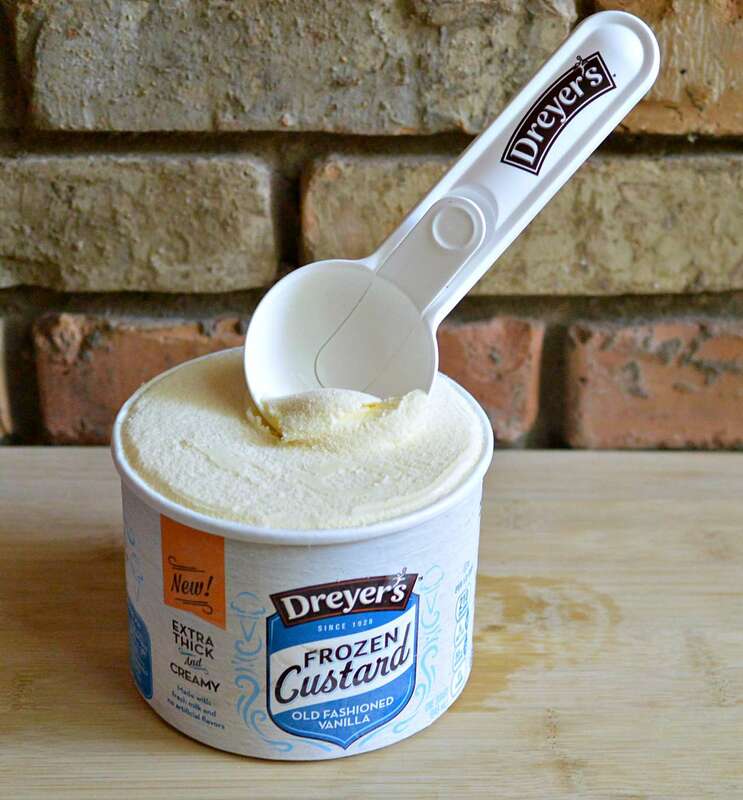 Wow, this looks amazing and the perfect treat to enjoy in this crazy Texas heat! I’ve been craving cold treats for the past week, and this looks amazing! Pinning now! Beautiful! As a commuter, it is hard to find easy, fast recipes to make for co-workers. Love this as an easy back-to-school dessert for my team! This cake looks so good! 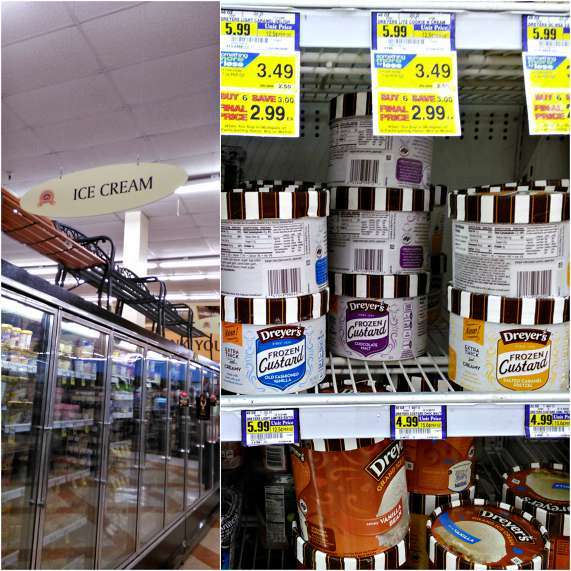 I have never bought frozen custard before, but I’m going to pick some up now! My kids are going to love this, thanks for the recipe share!